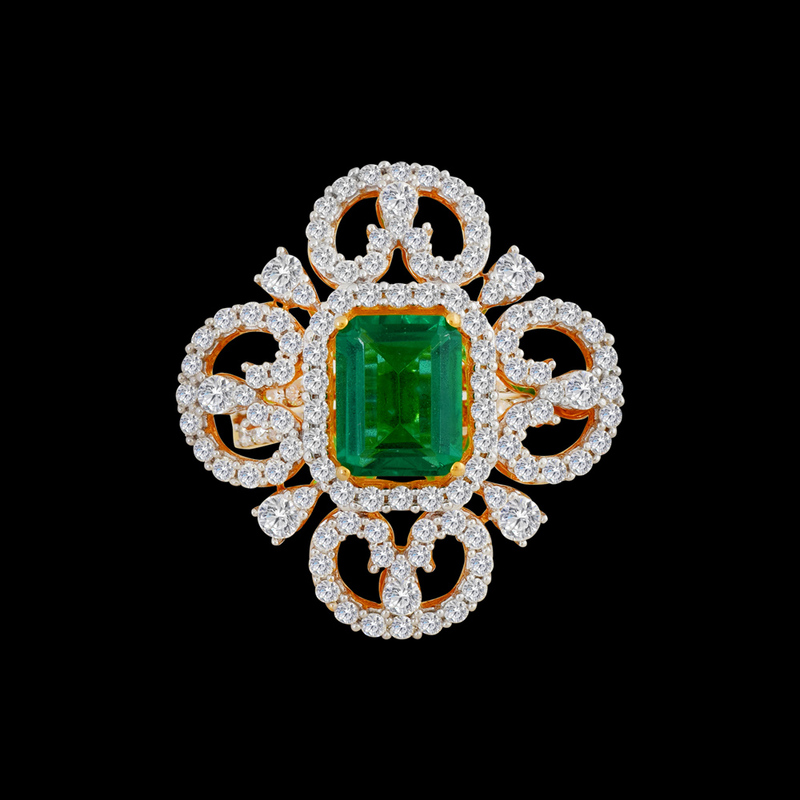 Green Glow Diamond Ring, made with 1.75CT diamond, carries a regal touch with its green colored stone that makes a great combination with the surrounding diamonds. The four-petal flower highlights the green center, making the designer diamond ring a perfect accessory for your every day as well occasional wear. The latest ring design is a beautiful amalgamation of a traditional and trendy taste of jewelry so that you can pair it up with both, ethnic and western wear.